Geologists love road cuts because they reveal the bedrock stratigraphy (layering). 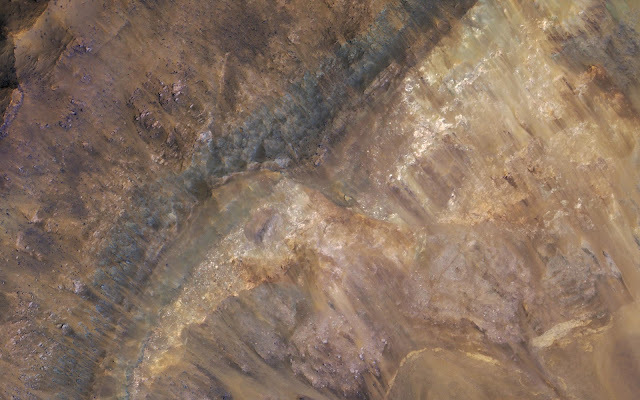 Until we have highways on Mars, we can get the same information from fresh impact craters as shown in this image from NASA's Mars Reconnaissance Orbiter (MRO). This image reveals these layers filling a larger crater, perhaps a combination of lava, impact ejecta, and sediments.